One of my favorite things about the autumn months is coming home at night and snuggling by the heater under warm blankets with candles or incense burning in the background. The heavenly scents help me to unwind after a long day at work, and incense holders are so easy to make that there's no excuse not to have a stick or two burning away while you cozy up and get stuck into that good book. Click through to learn how to make your own DIY incense holder, and head to the bottom of the post for more information about the benefits of incense! Around the middle of September every year, my interest in food (and eating said food) spikes by like 110%. I start saving new recipes on my phone, researching different restaurants, and expanding my shopping horizons at the grocery store. I imagine it relates to some ancient hardwiring in my body as winter approaches - at least that's what I'm tell myself as I'm stuffing my face. I'm already thinking about the hot meals I'm going to be preparing in the cold of winter, and wanted some simple felt placemats to pair those meals with. 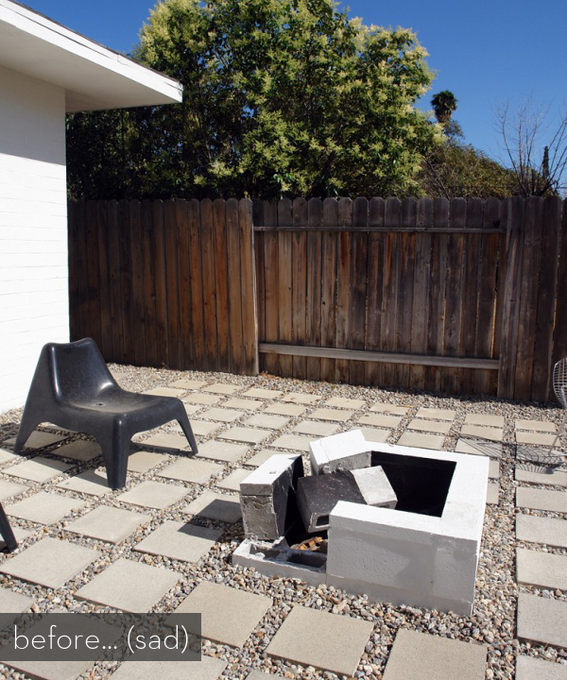 Make It: A Modern DIY Outdoor Fire Pit (Plus a Before & After)! All those fabulously lush and modern patios yesterday had me craving one of my own, especially one with an awesome fire pit like this! Check out the "after" to see what I'm talkin' about, folks. It's minimalist perfection. Make It: A Minimal and Modern DIY Wall Clock! I love everything about this clock. Everything. It appeals to my inner minimalist in ways I can't describe! It's also one of the easiest DIY projects ever created--and that's not just hyperbole, folks! It really is. The trick is in the clock face: can you guess what it's made from? White Hot: The Ultimate Modern Kitchen Roundup! Normally, I have what can only be described as an insatiable appetite for color. If you looked around my home, it would hit you like a ton of bricks: Purple chair! Green walls! Blue walls! Orange sofa! You get the picture. But lately I've been really loving the idea of having an all-white kitchen (I might sneak a few pops of color in there, though, I can't help myself). So, in my constant search for inspiration, I rounded up a few a bunch of my favorite modern kitchens in this oh-so-clean and crisp palette. Check 'em out below! Inspired by the Prouvé Potence Lamp, this DIY version is just as sleek and minimal without the maximum price tag! You know and love Vitra for its designer furniture and Girard Dolls; here's their take on the modern office. They call it the 'Citizen Office', a concept that encourages occupants to work using a range of postures and to move within the office as much as possible. In the Citizen Office, employees decide the appropriate work style, posture and place to suit each activity. This glass sink and counter top combo from Exence epitomized minimalism. Storage, faucet and plumbing are hidden to the side, putting all the focus on the curvy glass, where it should be. The designer of these shelves considered the lateral forces that affect the construction of a typical bookcase. He or she concluded that the majority of a standard bookcase's structure was dedicated to resisting those lateral forces. 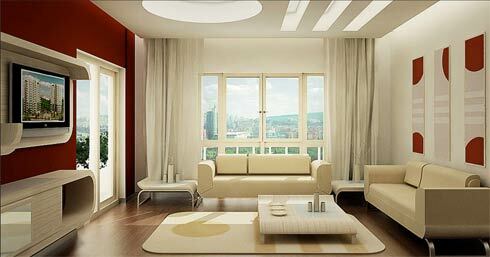 These apartment interiors by Ozhan Hazirlar are so perfect, they almost look fake. Which is probably why I like them. Bright, minimal, linear. Doesn’t get much better than that. Note the repeat of the curvy lozenge (and half-lozenge) shape from room to room. Via. Matryoshka dolls exemplify hidden spaces as one hides another and another and another. I actually have no idea if the dolls actually inspired Matroshka’s compact living concept, but I hope so.